This Glimåkra Ideal is a super sturdy little loom. I call it the “Baby Loom,” but it’s not a baby in strength. She can handle anything I put on her. 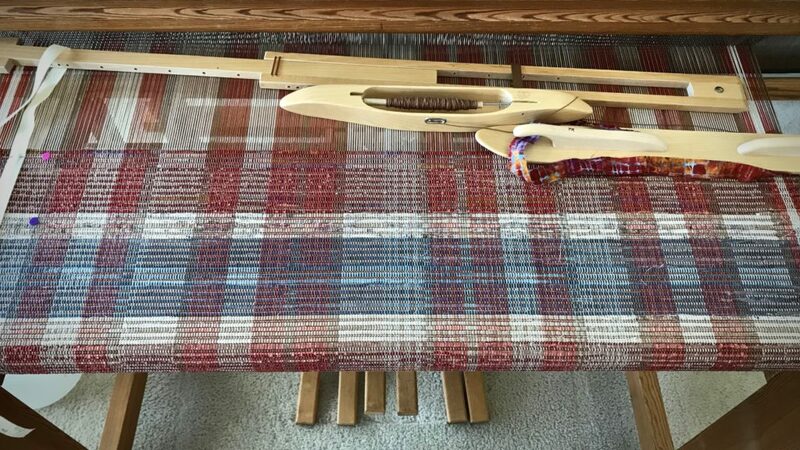 The warp is so tight on this rag rug that I have to release the front ratchet and loosen the warp a bit before I can even budge the ratchet on the back beam to release it. Spaced rep rag rug reaches the cloth beam. I like having a super-tight warp for rag rugs. It means I can get firm selvedges. And, I can put the momentum of the hanging beater to its best advantage, thoroughly packing in the weft. Best of all, I know this tight warp gives me a foundation for good strong rugs. Tight warp makes it possible to keep tight selvedges. 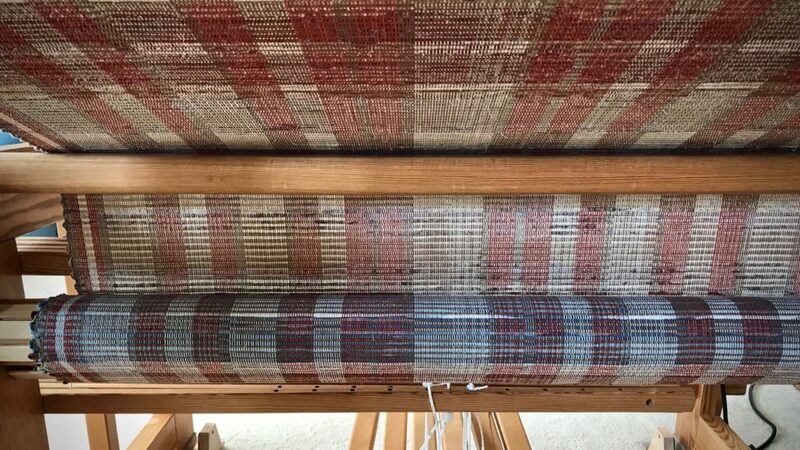 At the selvedge, fabric strip is turned twice, and then pulled to snugly wrap around the outer warp ends. 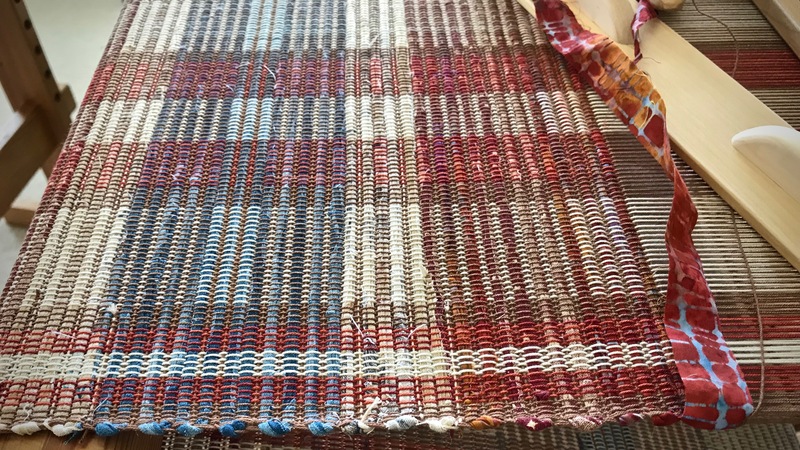 Designing on the loom is fun with the thick (fabric) and thin (warp thread) wefts. I make notes on paper so I can repeat the designs across the length of the rug. I want my trust in the Lord to be so tight that nothing can move it out of place. To be that certain, that focused. The Lord looks for people who trust him completely. He searches high and low for those whose hearts are completely his. He gives them his strong support—unwavering strength of support. Ratchet up the warp. We can trust the Grand Weaver and his loom. May your warp be tighter than tight. It’s so sweet to be connected in this way. Thank you so much for your kind thoughts! I share the same desire in the Lord. Thank you. Your posts are truly a blessing. Hi Linda, There’s no greater desire. I’m glad we have this in common.